Rust Belt Reserve products feature luxurious ingredients blended with complex, expertly crafted, premium fragrances. No one's quite sure how Cleveland acquired the "Forest City" nickname, but it's generally thought to have come from a history of efforts and encouragement by city officials to plant shade and fruit trees. Having spent a great deal of time in our area's outdoor spaces, we're certainly grateful for our forefathers' efforts. Hiking through the trails of our local park hunting for fossils in creek beds with our kids, we were inspired to recreate the scent experience in our Forest City Fern shaving soap and splash. Forest City Fern is our take on a traditional Fougere. Over a dozen fragrance ingredients blend seamlessly, featuring a well-rounded lavender top end that gives way to an earthy, woody base. Finally, a gift set for wet shavers! 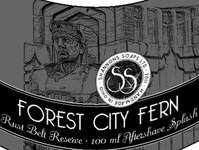 A full 4 oz jar of Forest City Fern shaving soap and a 3.3 oz/100 ml bottle of our Forest City Fern Aftershave Splash, boxed and ready to gift. 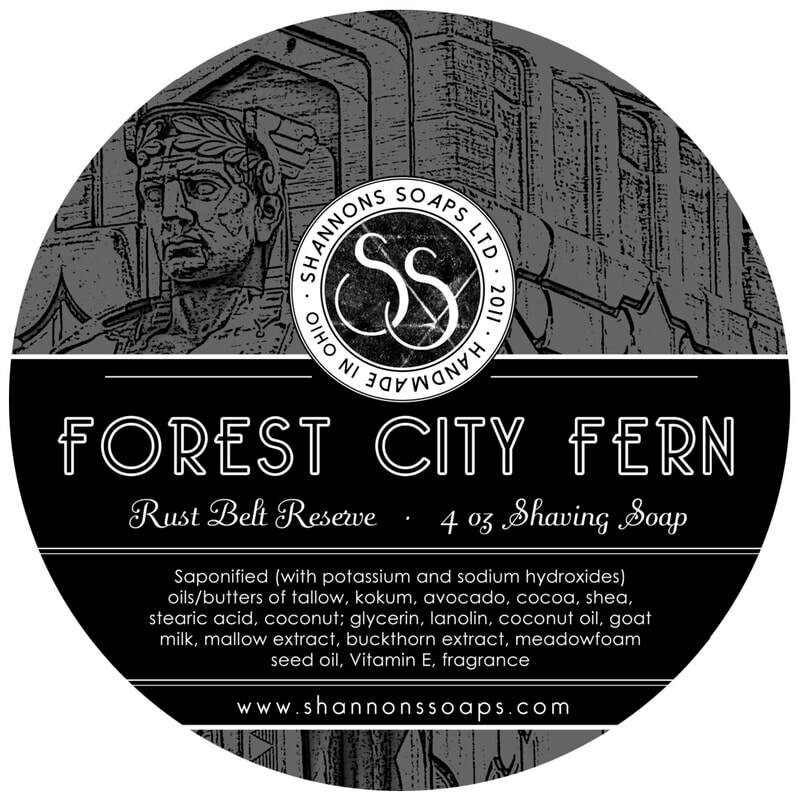 Rust Belt Reserve, Forest City Fern, and the riveted label are all trademarks of Shannon's Soaps, LTD.